In Time to Start Thinking, Edward Luce offers an incisive and highly engaging account of America’s economic and geopolitical decline. The Washington bureau chief for the Financial Times for the last four years, Luce has traveled the country interviewing public officials like Lawrence Summers and Senator Don Riegle, business leaders including Jeff Immelt and Bill Gates, as well as teachers, health care workers, and scientists. 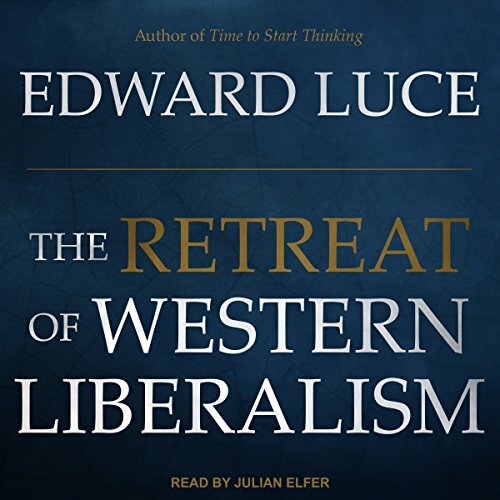 A Wonderfully Depressing "Time to Start Thinking"
In The Retreat of Western Liberalism, Luce makes a larger statement about the weakening of western hegemony and the crisis of liberal democracy - of which Donald Trump and his European counterparts are not the cause, but a terrifying symptom. 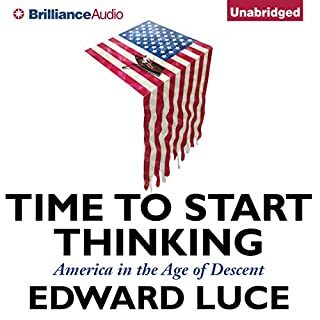 Luce argues that we are on a menacing trajectory brought about by ignorance of what it took to build the West, arrogance towards society's economic losers, and complacency about our system's durability - attitudes that have been emerging since the fall of the Berlin Wall. We cannot move forward without a clear diagnosis of what has gone wrong. 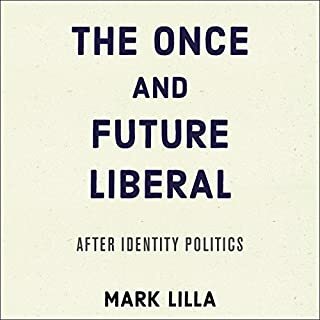 An interesting look into some of the challenges that face the western world in the coming decades, but through the lens of someone deeply entrenched in the current progressive liberal order who has trouble seeing the rot in the current system which has led to the current crisis point. What is really happening to America? Read this book to find out. This inveterate journalist quotes historical fact and current data to tell s critical story. Having read this book, I consider myself reawakened to modern reality, and realize I must help do something about it. What made the experience of listening to The Retreat of Western Liberalism the most enjoyable? OK, it is largely because he thinks about current events as I do,that I think he did a great job. But, he is a much clearer &amp; deeper explainer of the reasons we are where we are in 2017, than I could ever hope to be. 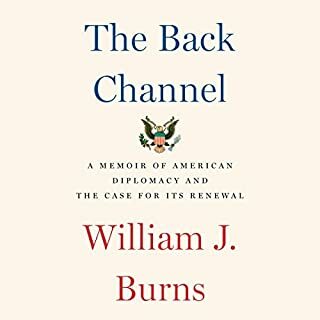 The important point is his contribution to the understanding of how the liberal establishment lost and is still losing the working middle class citizens of the US and of Europe. That loss has been too easily dismissed as racism, rather than delving into the larger, deeper engines of that segment's dissatisfaction and the possible remedies. A couple hours well spent. Relevant, topical to today’s political and social environment. Appreciate the perspective offered of current and post Trump society, and the need to address the economic stagnation of 60 percent of our population. To note I have continued faith in the genius of our democracy, without the apparent ‘yellow alert’ implied in the book. I do not think any one president can ruin us. I do heed the need to read - thank you Mr. Luce for a lucid read and valuable perspective. this Obama fan does a good job stepping back from the 2016 election and looking at the broader trends contributing to the rise of populism in the West. while the tone is very bleak, the question he raised are important. 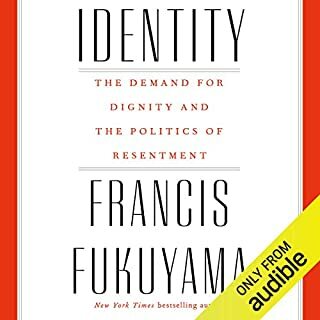 in my view this is a good read regardless of where you stand politically. This was a a logical, thoughtful and convincing analysis of the current state of the world; unsettling as it may be. We urgently need to heed analyses like this if we are to have the serious conversations needed to turn back from the abyss. the content as a whole were disappointing. As someone who hate Trump, I was looking for less about him and his voters and more about what can change in society to slow our slide. 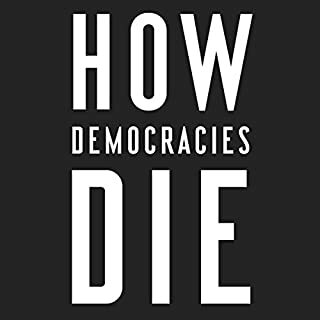 To the point break down about the rise of global populism and threats to modern liberal democracy. 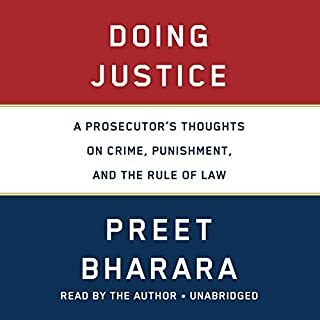 One of the best books I've listened to in the topic. He brings several theories together and clearly explains thier implications.